I just found your web site. I really like it. It seems real, not scripted. :+) I love your work also. 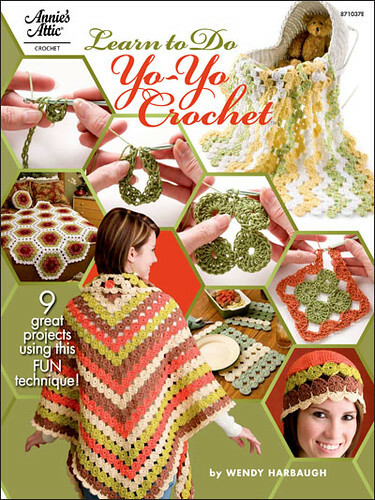 :+) I was wondering if you could help me with a pattern in a book you have!!! 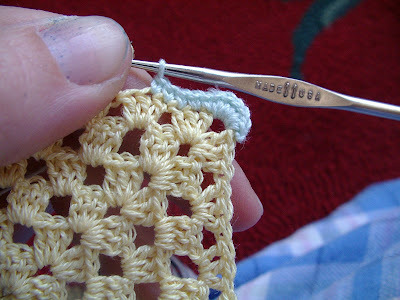 I can't seem to find anything about it on the web, and don't know any one who crochets. LOL. 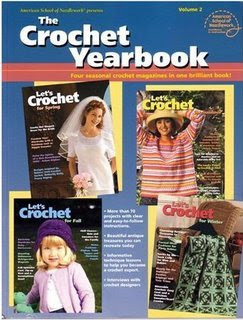 It is in the crochet year book volume 2, the Granny Girl Purse and Headband. Here is what I am having trouble with..
RND 8: join black to any corner ch-2 sp; ch 1, 5 sc in same sp; *sc in next 21 dc, 5 sc in next corner ch-2 sp; rep from* twice more; sc in next 21 dc; join in first sc. How do you do 5 sc in that same sp?? It creates a chain, is it supposed to be like that? Or am I doing it wrong? 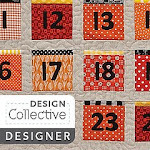 I am at a complete loss with it, and am trying to make this for my niece. I would really appreciate any help you can give me. First, if you are not the person in question, I will not post the entire pattern as that would be infringing on the owners copyright. But for explanatory purposes of the question, I left what she had written about round 8 so we would all be on the same page which, in the book, happens to be pages 138-139, and 162-163. The book is from "American school of Needlework" Volume 2 book 1336. Please excuse the dots of blue paint on my nails and under them; it is from making a floral arrangement yesterday and I have to wait till it wears off. See previous post about work fun. First off, on the previous round you only have chains in the corners on the sides of the granny; there are no chains, just sets of 3 dc. This is different from the previous rounds. Just making sure you have the previous row correct. For some reason for the set up of the edge the author has you sort of decreasing by removing the chains in the previous round. That is a side note back to question. 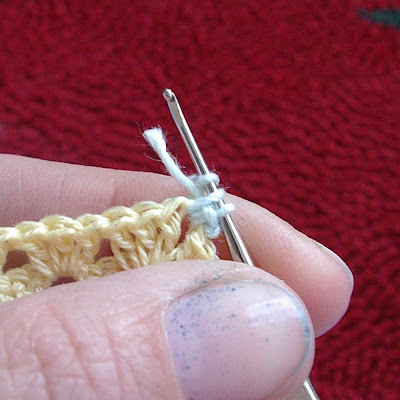 You slip stitch into the space that the two chains made on the corner; do not slip stitch into any of the chains. 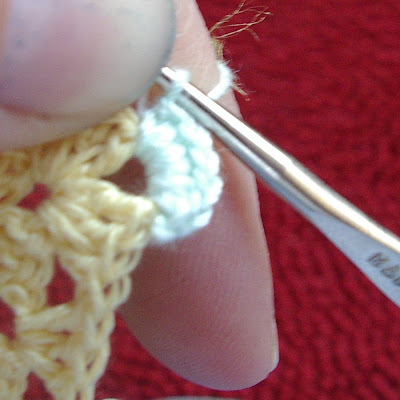 The ch1 gets you to the right height for the row to begin and counts as nothing in your pattern; just a height thing. Showing chain 1 to get to right height. Showing start of first sc in ch 2 space. 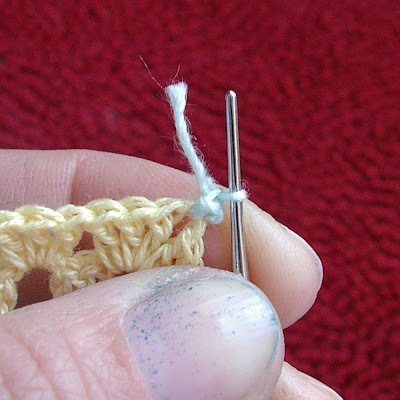 Also showing crocheting over tail to encapsulate it into the work so you don't have to finish so many threads at the end of your work. Now, in that same ch 2 space on the same corner where you joined, you are going to place 5 sc around those 2 chains. Showing all 5 sc in chain 2 space, sorry bad photo. Showing the 5 sc in corner and the first 5 of 21 sc across side of granny square. 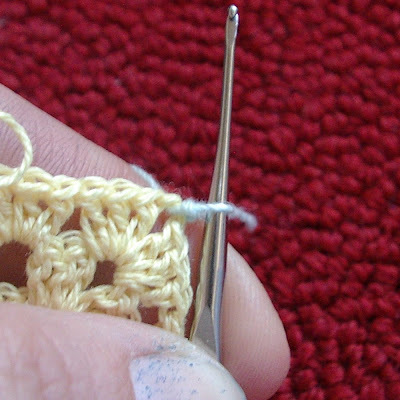 The next 21 stitches are in the top of the 7 sets of 3 dc between corners. then you place 5 sc around the next set of ch 2 in the next corner do this all the way around. It isn't forming a chain; it is defining your corners with 2 sc per side and 1 for your corner point. WOW!! You did an excellent job explaining that!!!! !